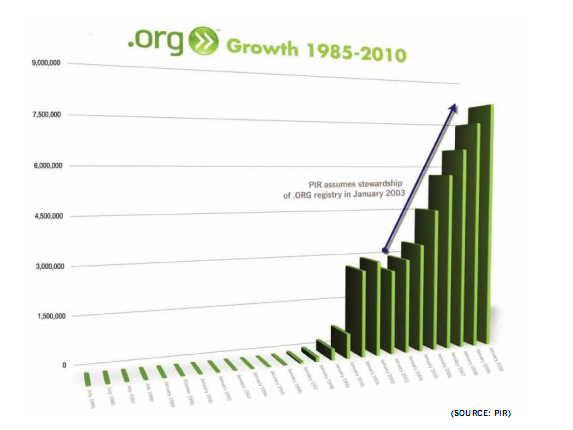 .ORG, The Public Interest Registry this morning released the results of its bi-annual domain name report, “The Dashboard” (PDF), detailing the accelerating growth of the world’s third largest generic Top Level Domain (after .com and .net). In the first half of this year, the .ORG domain grew by 7.6 percent, more than doubling last year’s first six months gain of 3.2 percent. This increase in registrations has brought the organization’s total domains under management to over 8.5 million. On a sidenote: as you can deduce from the image above, the first .ORG domain name was registered back in July 1985 (!) so it took quite a while to get to 8.5 million. Nevertheless, the TLD appears to be far from hitting the ceiling. 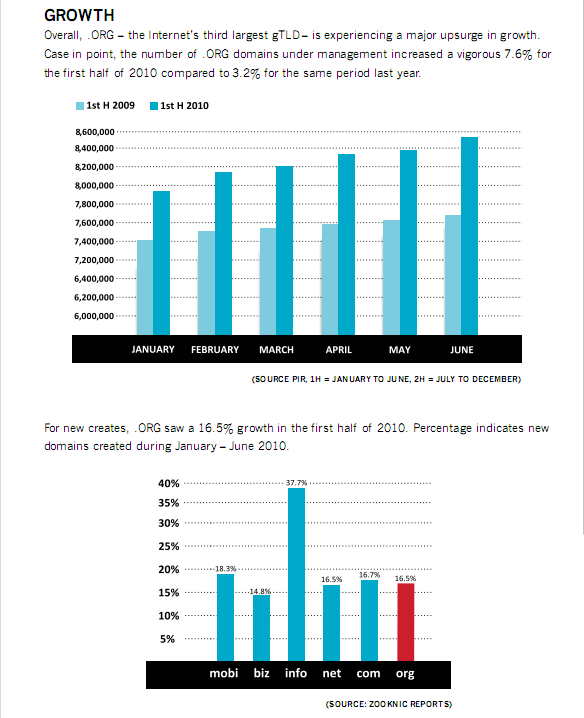 In fact, the reported 7.6 percent growth rate in the first half of 2010 surpasses that of the two largest domains, .com and .net, which says something about the growing popularity of .ORG worldwide. That or the fact that it’s still becoming increasingly difficult to register decent new .com or .net domain names, of course. Do you own / operate a .ORG domain name? Why (not)?